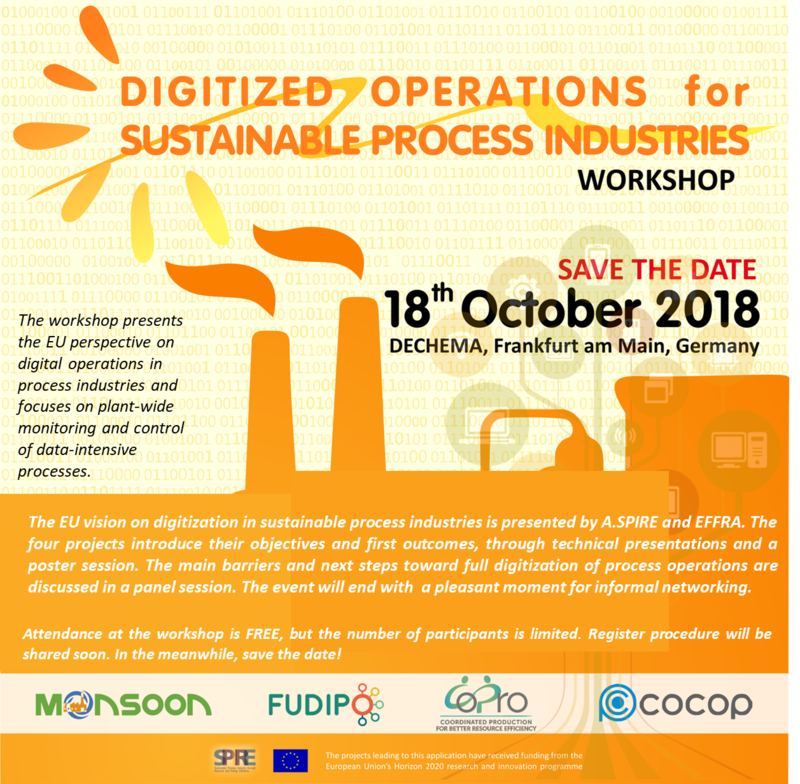 FUDIPO is participating in Digitized Sustainable Process Industry workshop in Frankfurt, on 18th October 2018. This workshop is also co-organised by COCOP, Monsoon, and CoPro SPIRE funded projects. The workshop presents the EU perspective on digital operations in process industries and focuses on plant-wide monitoring and control of data-intensive processes. Also, a networking space is planned. The event is free-registration but the number of participants is limited. More info soon.